I write in response to James Sandison’s letter (Mankind makes CO2; SN, 21/10/2018). If Mr Sandison’s wish is to offset Shetland’s carbon dioxide (CO2) emissions there’s no need to install giant wind farms, supplying 15 times Shetland’s maximum electricity demand. That would be pointless overkill, entailing vast, unnecessary, environmental devastation. Much smaller, less intrusive developments could erase Shetland’s “carbon footprint” at far lower cost to Britain’s electricity consumers. The motivation for SSE’s 600MW subsea cable to Scotland is money, pure and simple. They, Viking Energy (VE), Shetland Charitable Trust (SCT) et al, are ‘subsidy vultures’, preying on the carrion of government’s decision compelling utilities to buy uneconomic renewable energy, subsidised by consumers’ and leading inexorably to ever rising energy bills and fuel poverty. True wealth, however, encompasses the quality of our overall lifestyle, including the environment in which we live, not merely how much money we have in the bank. 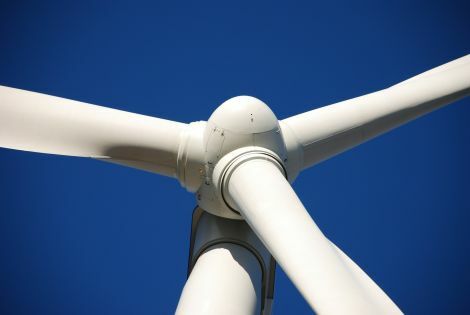 The installation of SSE’s proposed 600MW subsea cable between Shetland and Scotland will result in construction of 150 to 200 birling monsters, each of whose 60m blades will scythe through 3 acres of sky and reach over 500ft above the 3-acre, flattened hilltop sites on which each turbine sits. Sites that were hitherto valuable “peat carbon sinks” would now release their stored CO2 to atmosphere. Ditto for the many tens of miles of new roads through peat wilderness, sufficiently sturdy to support the colossal structures that would be transported over them. No need to labour the point, it’s obvious. The conversion of ancient wilderness to industrial wind farms, from Gulberwick to Gloup, would disfigure and devastate the landscape and would be completely inappropriate in the Shetland UNESCO Global Geopark.